23 | October | 2018 | The Blog of Russian dating site UFMA. Women looking for love. 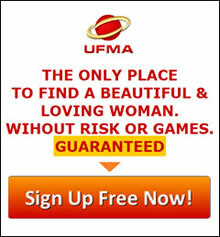 The Blog of Russian dating site UFMA. Women looking for love. Read articles and news about Russian girls dating and matchmaking, UFMA services and news of our Russian dating website. Meet your single Russian woman. Why are there Russian brides and Russian matchmaker so good! Russian women dating site, we present you the radiant lady Anna!